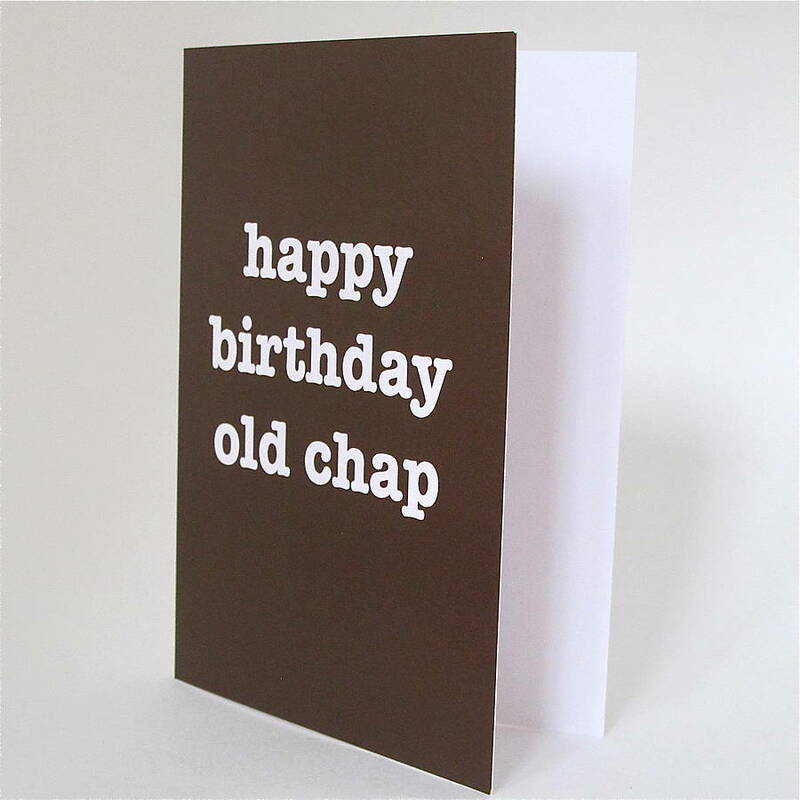 Help 'old chaps' everywhere celebrate their birthdays in style with a bold 'happy birthday old chap' card designed by us in our Somerset studio and printed in the UK on thick card stock in pleasing colours to old chaps: brown & white. Left blank inside they are ready for filling with your own cheery birthday greetings to the 'old chap' in your life!. 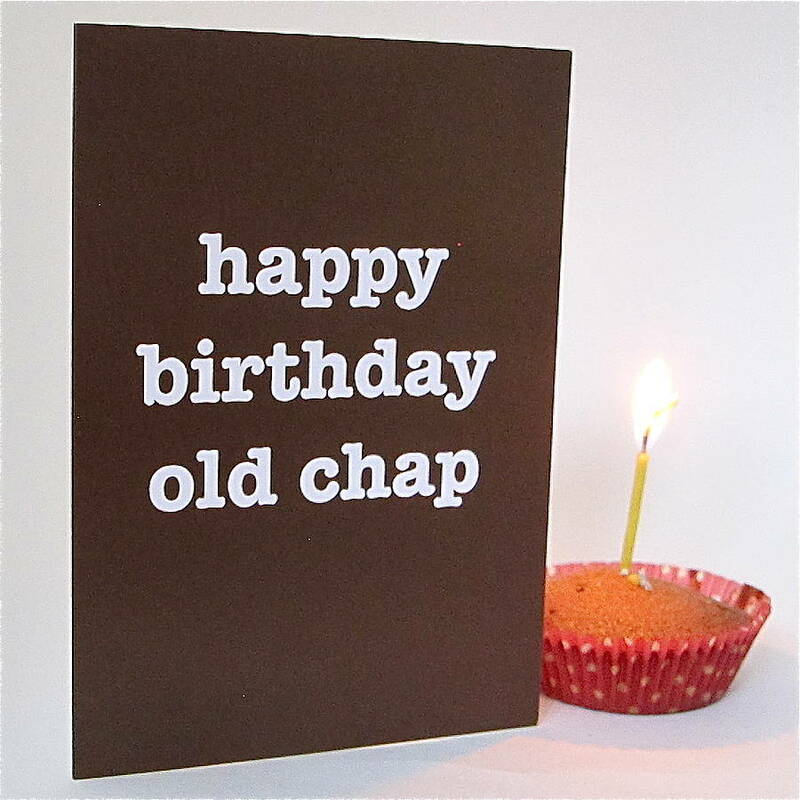 These cards are perfect for husbands, dads, grandads, uncles, bosses & all the hard-to-buy for males you know! 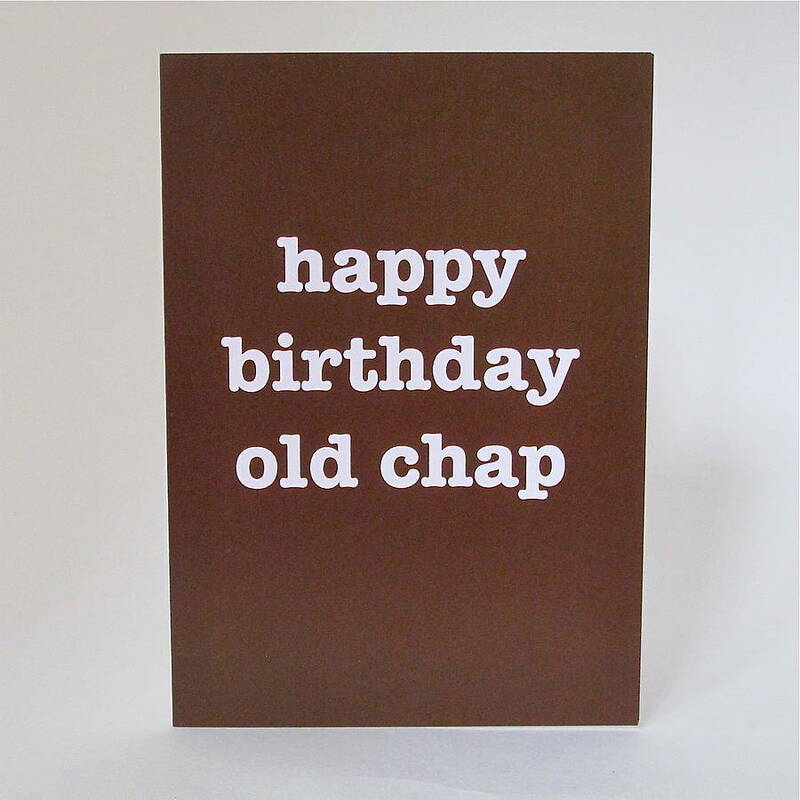 Available as a single card or a pack of 3 cards which offer a saving on buying the cards individually & allows you to have a card handy for the hard-to-buy for men in your life. Card printed on thick card stock with a matching white envelope. Cards arrive wrapped in a cello card bag. Sorry cake & candle not included with card!